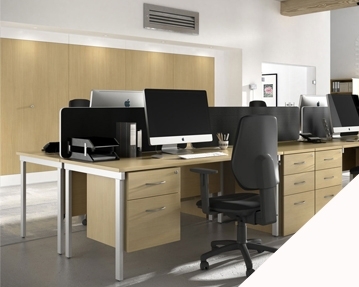 Astrada office furniture is as sleek as it is versatile. 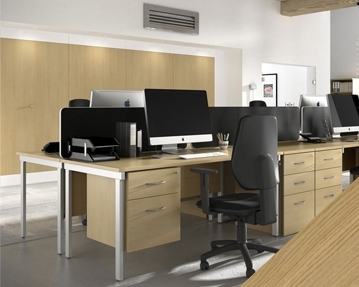 Available in beech, oak or white coloured melamine, Astrada office desks come in a range of sizes and with various accessories to help you ensure that sure your workplace is as comfortable as possible. Astrada office desks are available with or without pedestals, depending on your preference. We offer them in a number of configurations too, including ergonomic designs, corner-style desks, and left and right-handed orientations, so you can best respond to what your workforce, and work environment, needs. Adjustable feet on all desks also help to provide added comfort. 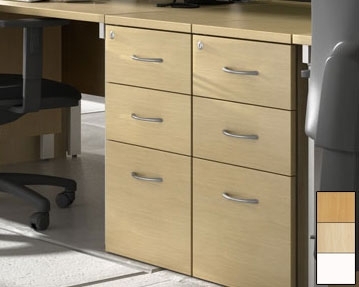 Our desks are supplied with cable ports for safe and tidy organisation of computer and telephone cables, and our pedestals are lockable by key for added security. We also offer high-quality, practical and attractive Astrada filing cabinets, cupboards and bookcases in a selection of sizes and designs. All Astrada office furniture is hardwearing and easy to maintain, which is why we are proud to offer a 10 year warranty on the products in this range. If you think Astrada furniture might be just what you are looking for, get in touch with one of our experts to discuss your needs. We are reachable via our online form, or feel free to pick up the phone and give us a call.